These are some of my favorite products that you’ll see me talking about on social media and referring to on this blog. I’ve been using and recommending the Isagenix products for over 5 years. We use many of the product daily such as the Isalean shakes, vitamins, Immune Support, and IsaGreens. If you need to lose weight the best place to start is with the Isagenix 30 Day Cleansing and Fat Burning System. 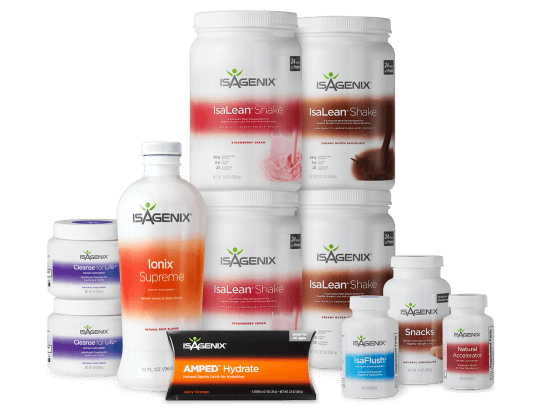 Isagenix has products for energy, weight loss, and performance. I’ve been using essential oils for over 5 years. I have a variety of brands. This is my top recommendation if you are just getting started using essential oils. This product line is simple and straightforward with a simple ordering process and getting started paks. The Isagenix peppermint oil is the best tasting and smelling peppermint I’ve ever used. Simple, pure, and 100% free of toxins. Learn more here. I keep all the less toxic products I purchase on Amazon on this special list. I update my list when I find new favorites. There are 14 plus oils that are helpful for helping you avoid overeating and losing weight. Find out which ones and how to use them. This report is on my homepage. You will learn some easy ways to reduce toxins in your home today.